Product prices and availability are accurate as of 2019-04-21 10:04:27 EDT and are subject to change. Any price and availability information displayed on http://www.amazon.com/ at the time of purchase will apply to the purchase of this product. People love secrets. Ever since the first word was written, humans have sent coded messages to each other. 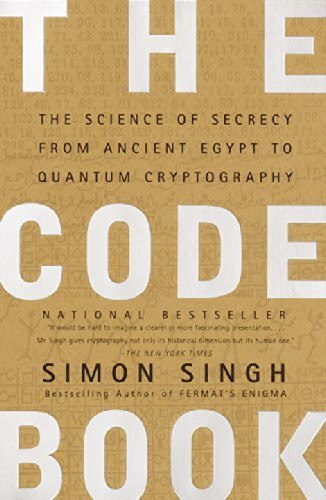 In The Code Book, Simon Singh, author of the bestselling Fermat's Enigma, offers a peek into the world of cryptography and codes, from ancient texts through computer encryption. Singh's compelling history is woven through with stories of how codes and ciphers have played a vital role in warfare, politics, and royal intrigue. 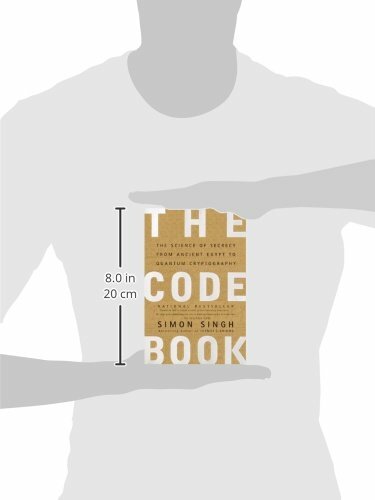 The major theme of The Code Book is what Singh calls "the ongoing evolutionary battle between codemakers and codebreakers," never more clear than in the chapters devoted to World War II. Cryptography came of age during that conflict, as secret communications became critical to both sides' success. Confronted with the prospect of defeat, the Allied cryptanalysts had worked night and day to penetrate German ciphers. It would appear that fear was the main driving force, and that adversity is one of the foundations of successful codebreaking. In the information age, the fear that drives cryptographic improvements is both capitalistic and libertarian--corporations need encryption to ensure that their secrets don't fall into the hands of competitors and regulators, and ordinary people need encryption to keep their everyday communications private in a free society. Similarly, the battles for greater decryption power come from said competitors and governments wary of insurrection.